we are bryan+jen (and karma the wonderdog). we started this blog as a way to be able to look back and remember where we’ve been, how far we’ve come and the good times that we’ve shared along the way. These days the blog survives mostly so we have a photo album readily available to look back at the blur that has been our lives over the last few years. We try to make updates but cant make any promises on timing or speed (mostly due to lack of wifi depending on current destination). If it’s photos and a real-time update on where we’re at you’re looking for follow us on instagram. 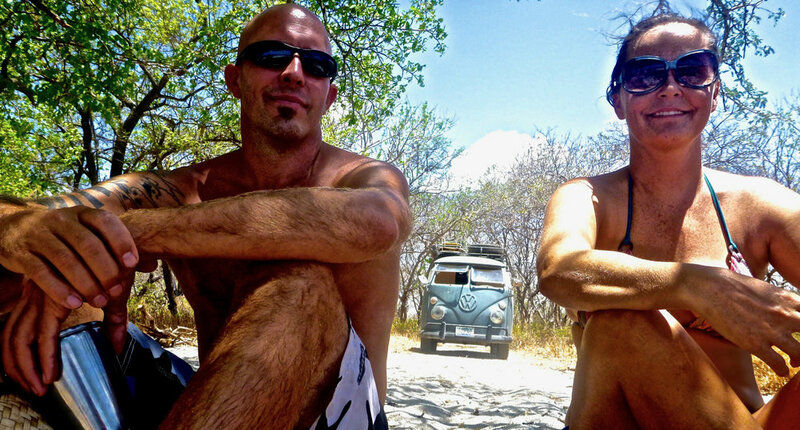 Our journey began when we ran away from “normal” and our paying jobs in order to drive E, our 1967 VW bus slowly through Mexico and Central America for a few years. We tried to find ourselves by getting lost and hoped to see life through a lens that just wasn’t possible in the day to day grind. We didn’t know what to expect or where we would end up, but assumed it would be on a small beach somewhere warm. Instead we found ourselves having an epiphany that ending our newfound freedom was no longer an option for us. Instead of continuing south and spending the rest of our savings living off-grid for another year we set out trying to make our new lifestyle more permanent. We returned to and created a “home base” in Portand, OR that could serve as a jumping off point for our travels and a place for us to call home near those we love when we choose to be close to home. We converted our garage into a tiny home/adu for us to live in while someone else pays our mortgage… which in turn allows us to make decisions based upon happiness rather than money. We then ended up traveling and living nomadically full-time in our 4×4 Sprinter Campervan and learned that it’s possible to survive off almost nothing but to enjoy life fully…even in the middle of an urban environment, mostly thanks to our “creative home use plan”. Now, we’re embarking on an entirely new leap/adventure… and trying out life at sea. Yikes! 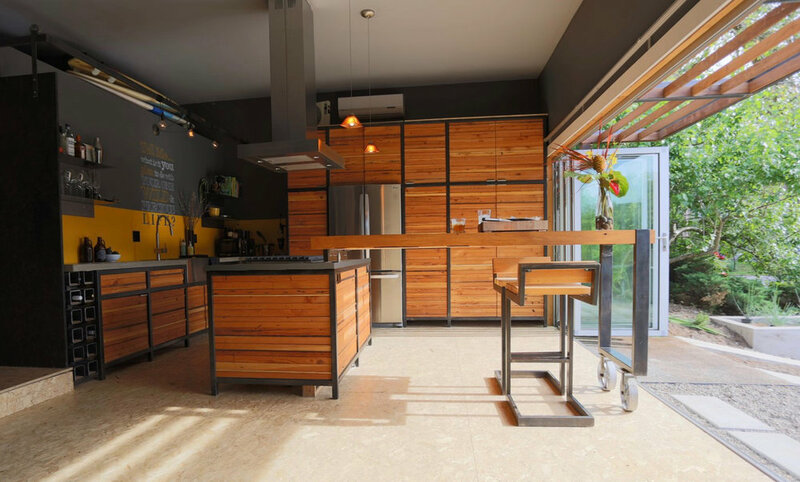 We also love design projects, so we continue to offer small space design services to others looking to simplify, downsize or change their life for the better and in hopes that we can bring both our and their financial freedoms even closer. We also help others convert their van into their perfect adventurevan, by providing DIY campervan conversion kits. If you have a project we can help with or a dream you want to chase…let us know how we can help! has continually surprised even us. and we’re committed to helping others do the same. How can you make it happen today? We honestly can’t tell you why or how exactly the name came about, but we have several friends who started calling us the Dangerz years ago, and at some point it just stuck. It’s okay with us as we’ve grown to quite like it. It’s also funny, since we see ourselves as anything BUT dangerous. We’re soft and silly mostly (albeit, not quite “normal”), but we do like the name. It’s rather like the tattoo jen wants… mostly all about floating hearts with wings, but every time we sketch it out at least one of the hearts ends up with crossbones. Just because it’s cute, but also maybe a little badass. We still often discuss legally enacting the name change…stay tuned. and we look forward to meeting you (or seeing you again) along the way!